The Clear Glass MINI designed for today’s décors, its clean, contemporary design enriches any space, while its humidifying and air-cleansing properties promote a healthier living environment. 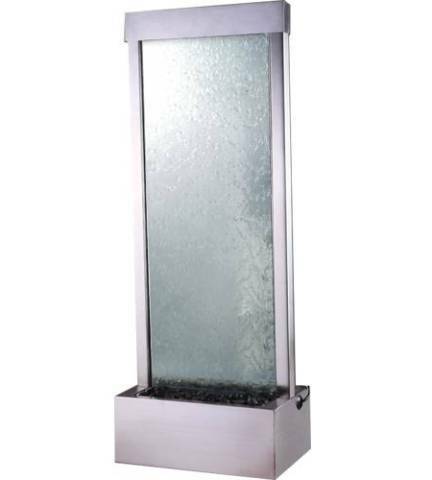 The stainless steel centre mounted frame adds an element of sleek style and sophistication, while the cascading waters create a soothing, serene environment. Fill the basin with river rocks (included) to complete the stunning presentation. lightweight design and easy to assemble. Feature includes powerful, adjustable-flow water pump, intake filter.